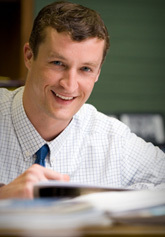 Mr. Hardie is a 2001 graduate of Louisiana State University receiving a B.S. degree in Management. He received his J.D. degree in 2004 from the Paul M. Hebert Law Center, Louisiana State University. After graduating, Charles served as the judicial law clerk for the Honorable Charles V. Cusimano, II in the 24th Judicial District Court for Jefferson Parish. In 2009, Charles joined Hammonds & Sills (now operating as Hammonds, Sills, Adkins & Guice, LLP). Mr. Hardie has significant experience in handling complex construction disputes and insurance law, leases, and various issues involving public entities. He is a member of the American Bar Association, Baton Rouge Bar Association, Louisiana State Bar Association, and is a member of the Baton Rouge Bar Association Membership Committee and Construction Law Section. Mr. Hardie is admitted to practice before all federal district courts in the State of Louisiana. Mr. Hardie is located in the Baton Rouge office.